Before “Happy Fish,” I drew an Etruscan dancing girl, based upon a design on an Etruscan vase, I was not to sure of her, especially with the odd toes (authentic to the vase drawing), but decided to post her anyway. 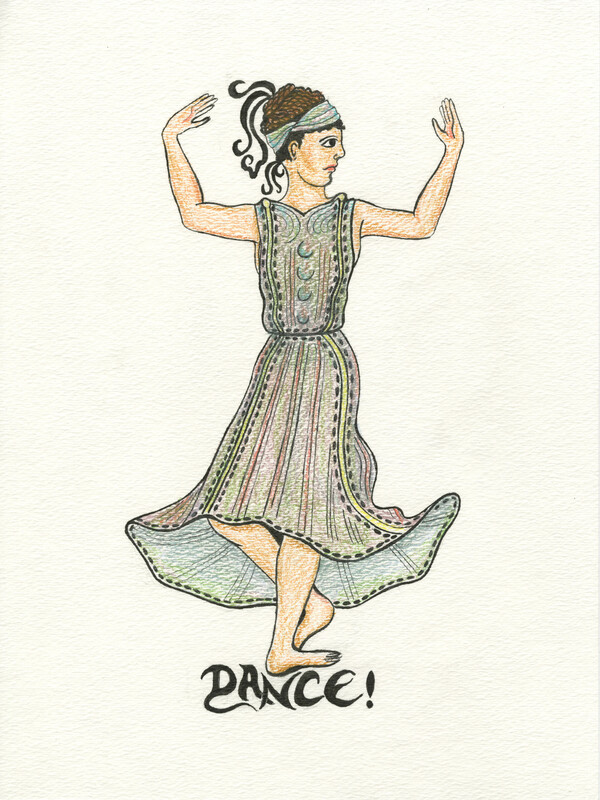 Image of a girl dancing inspired by an Etruscan vase from the 4th century BCE. Drawn by Meredith Eliassen, 2015.